Eyes on the Jura wine, please! 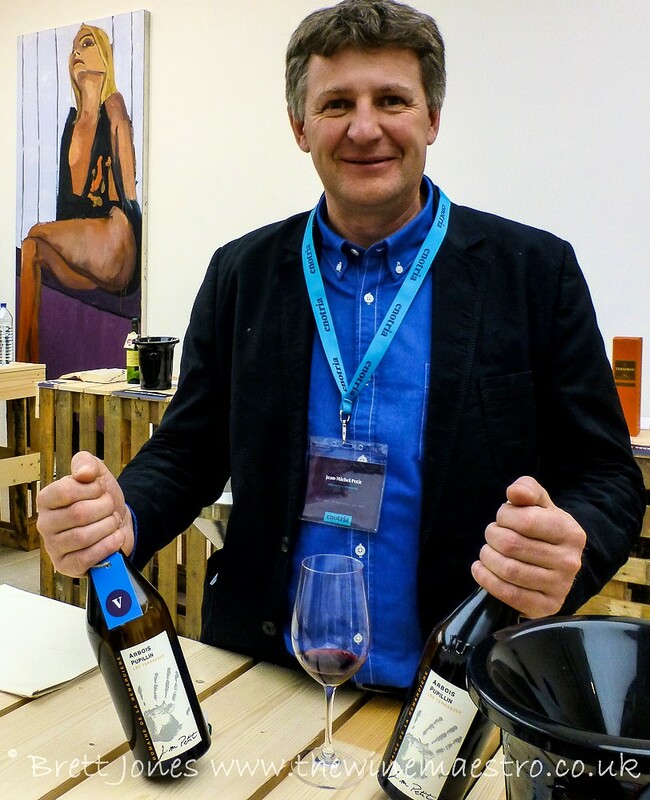 A few weeks ago I caught up with Jean-Michel Petit, a biodynamic producer in Pupillin, Jura who was showing his Domaine de la Renardière wines at the Enotria Tasting in the Saatchi Gallery, London. Last year Jean-Michel was in London at the first Jura Wine Tasting and was one of several producers whose wines were so enjoyed by importers that they added them to their portfolios. 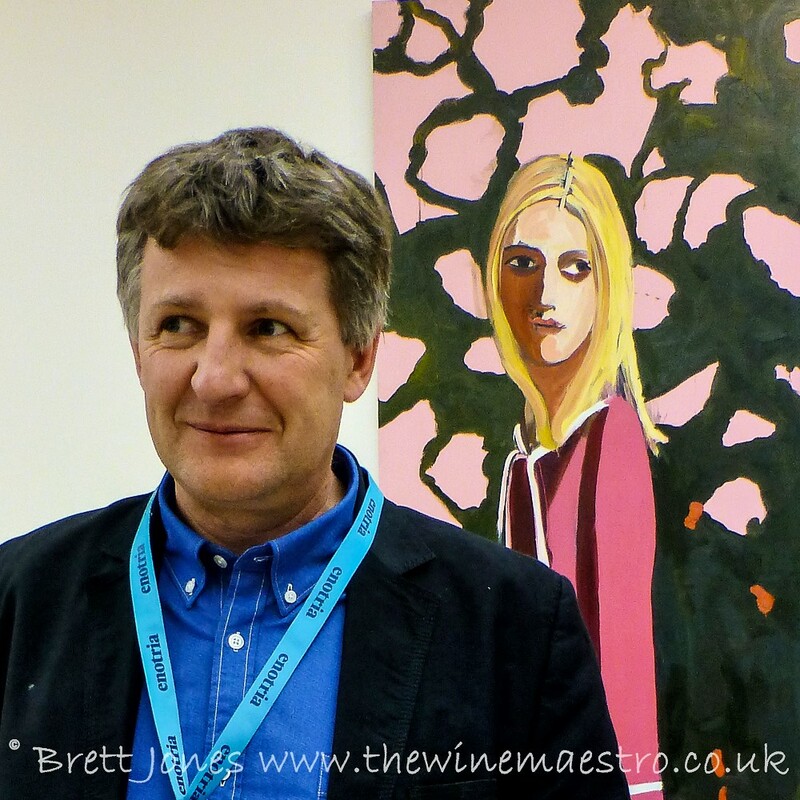 It was pleasure to see him, taste his wine and chat with him about the Jura, with a backdrop of intriguing art. You can read more about Jean-Michel by Wink on Jura Wine. The second Wines of Jura Annual Press & Trade tasting in London will be on Wednesday 14th May 2014, where Wink Lorch will be running two master classes as well as promoting her new Jura Wine Book. 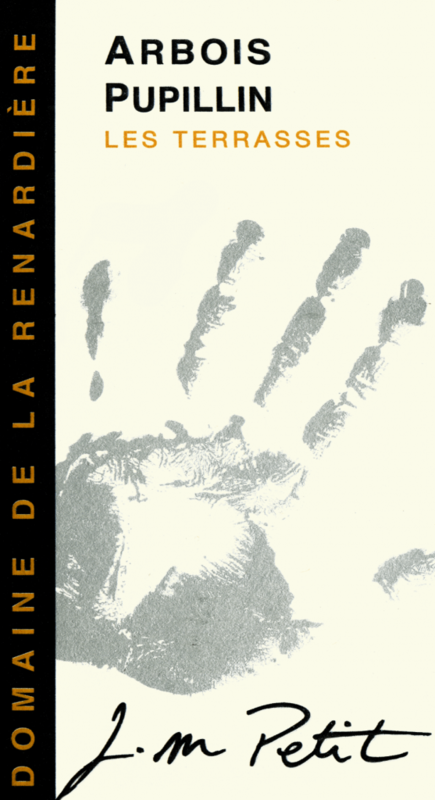 This entry was posted in Podcast, Wine, Wine Blog and tagged Audiboo, Domaine de la Renardière, Enotria, Jean-Michel Petit, Jura, Jura Wine Book, Jura Wine Tasting, Pupillin, Saatchi Gallery, Wine Travel Guides, Wine Travel Media by Brett, the Wine Maestro. Bookmark the permalink.